Let's read Don't Let the Pigeon Drive the Bus, by Mo Willems, a Caldecott Honor Book. Follow Mo Willems' directions below on how to draw the pigeon. Now draw your own pigeon, and re-illustrate the last page of the story. How do you think the story should end? What kind of trouble will your pigeon get in next? Make sure to add something to your scene, so your pigeon can start his next adventure. 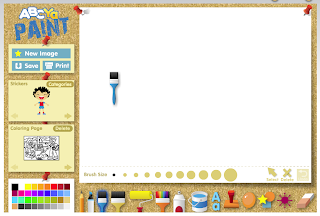 Use ABCya's Paint to create.